SaveMore: QuickStove Stove in a Can as low as $12.95 Shipped! SaveMore has a great deal today!! 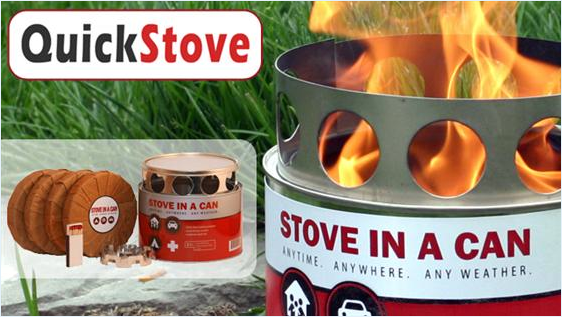 You can get a QuickStove Stove in a Can for $17! There is also a shipping flat fee of $5.95. If your new to SaveMore you'll get a $10 credit making the deal even better!! This would make a great addition to your emergency preparedness gear, or a gift!! When an emergency hits they will be really happy for this!